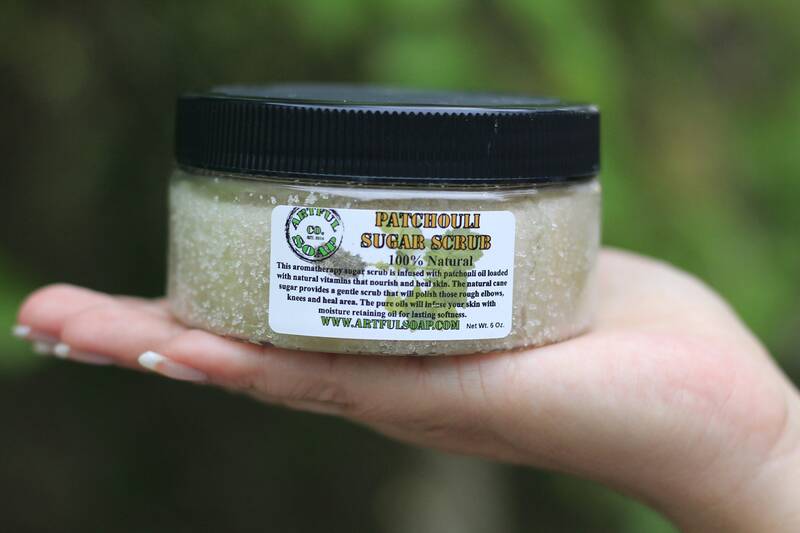 Add this patchouli sugar scrub to the rest of our patchouli line and relax in the bliss that is patchouli. 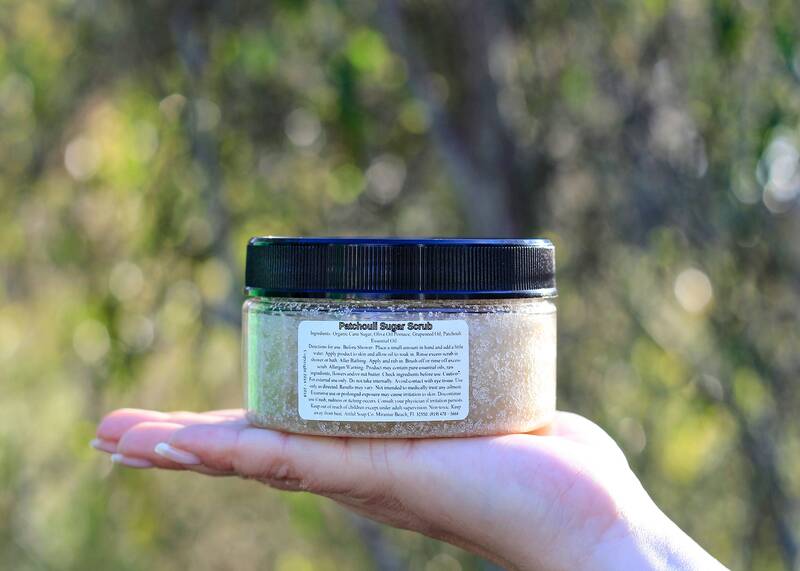 Only pure patchouli dark oil is added to our natural base oils for a fantastically simple, yet extremely luxurious sugar scrub. 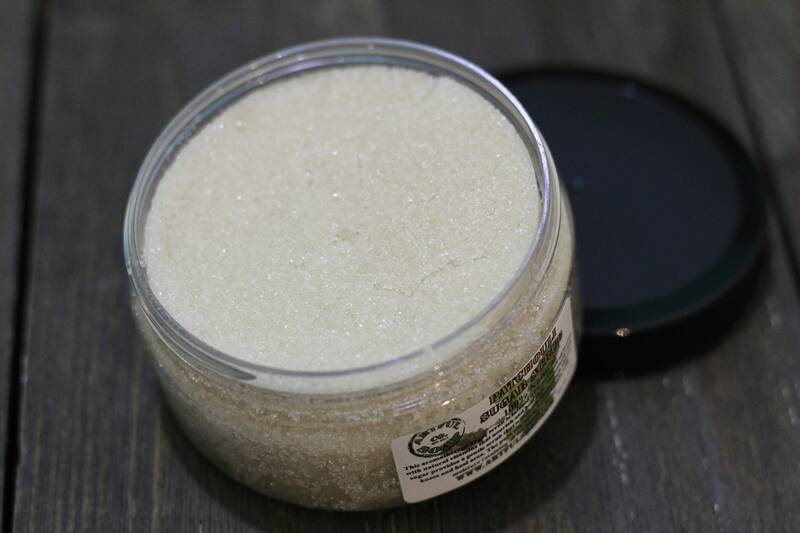 Ingredients: Organic Cane Sugar, Olive Oil Pomace, Grapeseed Oil, Patchouli Essential Oil. 8 oz net wt.